We are excited to announce that starting July 31 we will be starting a San Antonio branch of Ambush Muay Thai led by head coach Bobby Peek. Classes will be available at Ohana Academy Mon, Wed, Fri, and Sat. See our schedule or contact pages for more info about Team Ambush SA! We have revised our Muay Thai training schedule for 2017 to focus on making our team members be the absolute best they can be. Our schedule now also includes times for training shadowboxing, partner drills, & pad work. For more info see our classes and schedule pages.. Joining Ambush Muay Thai coaches Elton Wells and Bobby Peek at Brazilian Fight Factory is Ajarn Jason Webster. Coach Jason brings over 25 years of Muay Thai teaching experience to Ambush Muay Thai and will work as a mentor to all Team Ambush students, fighters, and coaches. Coach Bobby will continue to teach the level 1 classes, Coach Elton will continue to teach level 2 and clinch classes as well as run the Ambush fight team. Ambush Muay Thai coaches: Coach Bobby Peek, Coach Elton Wells, and now Coach Jason Webster. 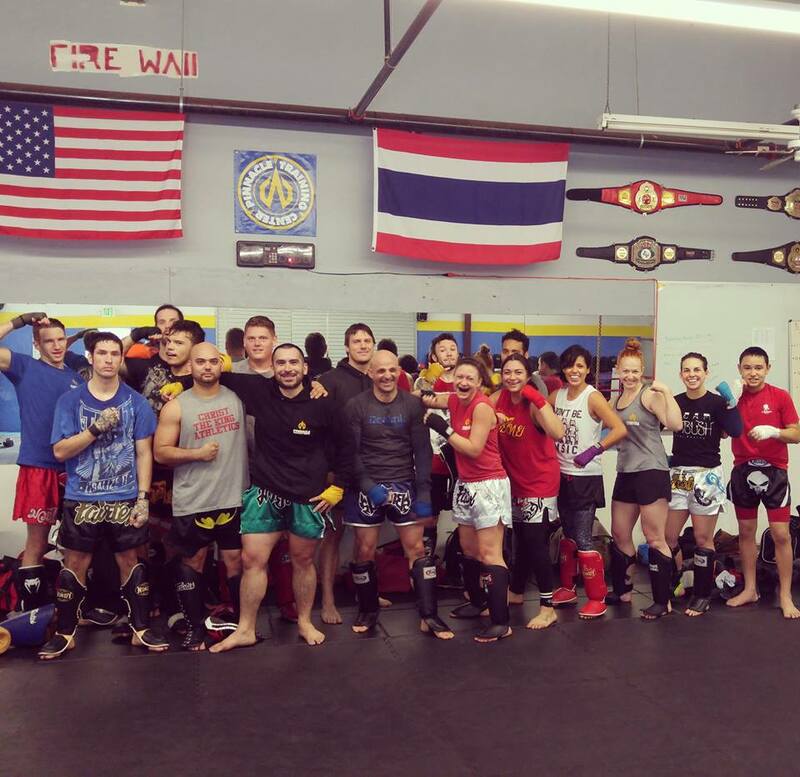 Last week was Team Ambush's last week training at Pinnacle Training Center (previously Austin Muay Thai). Thanks to all of our friends at Pinnacle for the great training and memories. Next week we start a new program at Brazilian Fight Factory, working to build a top fight team/gym in central TX! Ambush Muay Thai teammates Sean McKiernan, Buddy Chambers, Jed Becker, Paul Gonzales, Bobby Peek, Jeremy Davis, Roland Rodriguez, Coach Elton Wells, Ariel Larre, Kaleb Howe, Brenda Gregory, Amy Rodriguez, Alberto Laguna, Monica Lara, Tricia Rojas, Jenna Crank, and Alex.